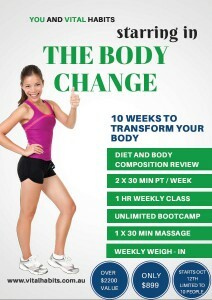 Transform your body in 10 weeks! We’ve put together an unbeatable package that will get you looking and feeling on top of the world. There’s over $2200 of value packed in to this package all for just $899!!! The program starts on Oct 12th and is limited to the first 10 people to sign up.